Leading African rating & PR agency, Avance Media has announced finalists for the 2nd edition of its prestigious annual ranking focused on young people dubbed: 50 Most Influential Young Tanzanians. According to Prince Akpah, MD of Avance Media, this year’s list features young people who have made remarkable contributions towards their respective fields which has extended impact to other young people across Tanzania and beyond. 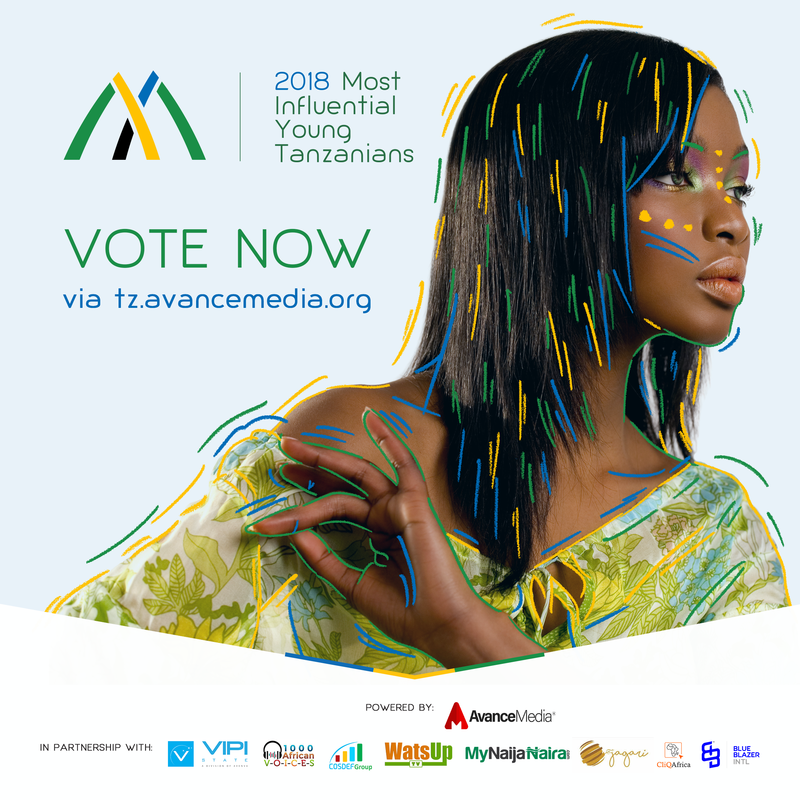 Public voting has also commenced on tz.avancemedia.org to determine the influence of the nominees in their categories and in the overall ranking. The 2017 edition was won by Footballer, Mbwana Samatta. After launching the initiative in Ghana in 2015, Avance Media has been able to partner various organisations across Africa to extend the ranking to Cameroon, Nigeria, South Africa, Kenya, Tanzania & DR Congo and is expected to announce a global ranking in 2019.